East Central Regional Library is excited to announce that we are now able to offer eBooks published by Simon & Schuster Inc. to our patrons. This includes popular Minnesota authors like Vince Flynn and William Kent Krueger! 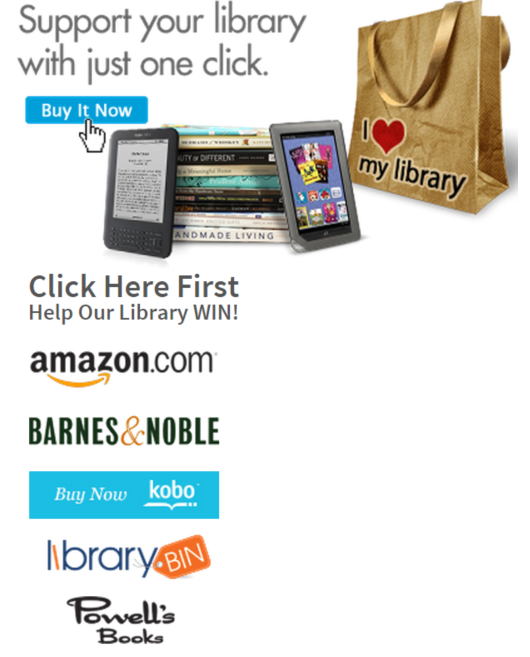 In order to purchase Simon & Schuster titles and make them available on our OverDrive powered Digital Library website, libraries are required to offer the ‘Buy It Now’ (BIN) feature. BIN is a retail program that connects library users to a network of online booksellers to purchase a personal copy of an eBook title. When a user clicks on the ‘Buy It Now’ link, they will be sent to a retail website where they can purchase the title for their personal eBook collection from a WIN Affiliate Retailer (listed below). In return, ECRL will earn a percent of proceeds from retail sales made through those online booksellers. With those proceeds, we can buy more eBooks & eAudiobooks to add to our Digital Library. When a user follows a ‘Buy It Now’ link, the referring library receives a content credit for the user’s entire purchase, not just eBooks! You just can’t wait a second longer on the Holds List for a popular new title. You read an eBook in our Digital Library that you then decide to add to your personal eBook collection. You shop at these online retailers anyway, and would like to support ECRL financially while doing so. Where will I see ‘Buy It Now’? 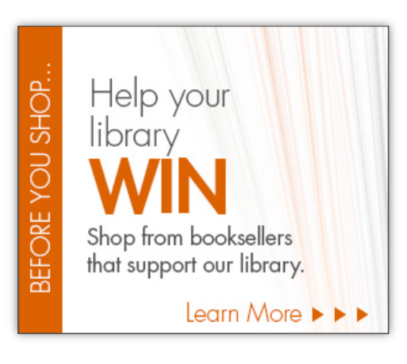 There are two places you will see ‘Buy It Now.’ The first is next to the ‘Borrow’ or ‘Place a Hold’ buttons on all titles that are available to purchase from a WIN affiliate retailer. The second place you will see ‘Buy it Now’ is an image like this, located on the ECRL Digital Library homepage. Check out the newly added William Kent Krueger, Vince Flynn, and other popular eBook titles now!